High blood pressure is often associated with few or no symptom yet it is a major risk factor for various chronic diseases such as heart failure, vision loss, stroke and kidney diseases. Usually, hypertension is defined as blood pressure above 140/90, and is considered severe if the pressure is above 180/120. 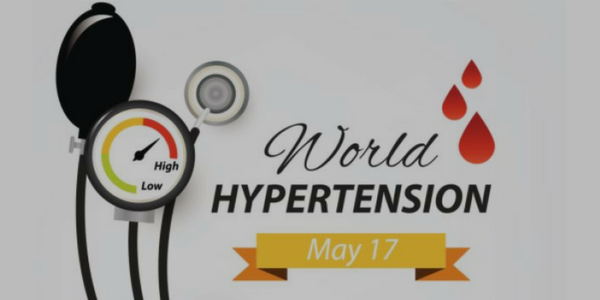 Hypertension and heart disease are global health concerns. Acute causes of high blood pressure include stress, unmanaged lifestyle, lack of physical activity and poor eating habits. Every time your boss bums you out, your heart takes a hit, stressful situations at work can cause your blood pressure to spike temporarily, but stress also cause long-term high blood pressure. All these short-term stress-related blood pressure spikes add up and cause high blood pressure and their bad health effects linger long even after you leave the office. But stress itself isn’t responsible for high blood pressure. It may be due to other behaviors such as overeating, drinking alcohol and poor sleeping habits etc. However, short-term stress-related spikes in your blood pressure added up over time may put you at risk of developing long-term high blood pressure.